"Where Art and Fashion Meet"
Atelier Alcaniz has been in existence for 21 years. It was established in the Fall 0f 1992 as Karin ZImmerman's art studio after she graduated from Florida State University with an MFA degree in Painting and Mixed Media. The word Atelier is French and German (Karin's native language) for art studio. 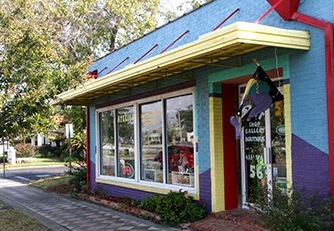 Since the studio is located on Alcaniz Street in the Historic District of downtown Pensacola, Karin named her studio "Atlier Alcaniz", which means art studio on Alcaniz Street. Karin used the space primarily for creating her paintings. 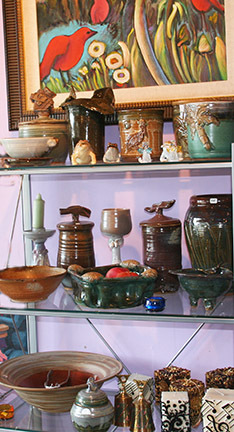 Gradually she added her own wheel thrown and hand built pottery. 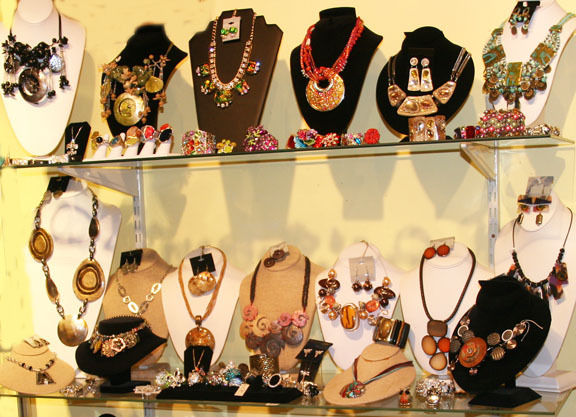 Then she added gift items which she located during her travels to Germany and fashion jewelry that make a statement. 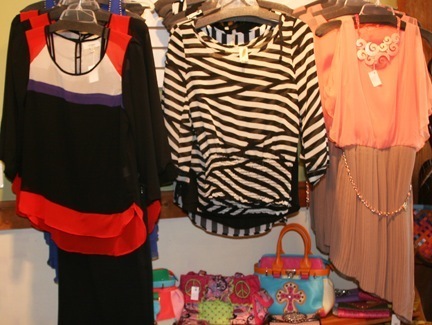 At the end of 2011, Karin's friend, who owns The International Boutique on the Boardwalk on Pensacola Beach, Florida, suggested that she add boutique style women's clothing. Karin had no experience in selecting and purchasing women's fashion clothing. It became a challenge. However, with the help and encouragement of her friend, who brought in clothing from her shop, Atelier Alcaniz evolved into a space "Where Art and Fashion Meet". Karin now also selects and purchases some of the women's fashion clothing for her shop. She feels that her training in the area of Art makes it possible for her to select clothing based on good design and overall aesthetics. Together and in collaboration with her friend from The International Boutique Karin hopes to grow her business steadily and successfully. She is committed to good and honest service to her guests.